The Who, What, Where and Why. YOU are making a difference! Watch this video and share widely. It is 14 minutes and well worth it for a good synopsis of the April 23, 2018 CPR meeting. 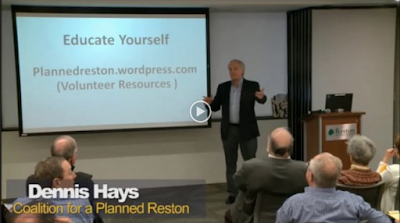 We are in the fight to keep quality in our Planned Community of Reston. Livable Portland - Isn’t it past time for civic-minded people to come together and talk rationally about how to meet the challenges we face, AND protect and improve the assets that make Portland a great city? Is it time for “Quality In My Back Yard”? Your site is truly cool and this is an awesome motivating article. Much obliged to you to such an extent. i am interestingly here. I discovered this board and I in discovering It genuinely supportive and it helped me out a great deal. I plan to present something back and help other people, for example, you helped me. This is a smart blog. I mean it. You have so much knowledge about this issue, and so much passion. You also know how to make people rally behind it, obviously from the responses. I just found this blog and have high hopes for it to continue. Keep up the great work, its hard to find good ones. I have added to my favorites. Thank You.